View cart “Blest Christmas Morn” has been added to your cart. John F. Wilson composed most of his sacred songs for solo voice during his years as a government legal advisor in various parts of the world. During this time, incorporated many beautiful folk melodies from these regions where he has lived and worked, including Hong Kong, Great Britain and more. These solo songs, indeed, will inspire with wisdom, Truth and Love! Enjoy exploring this special catalogue of sacred solos for use in church. John F. Wilson is a British lawyer and musician who has lived and worked in many parts of the world and now lives in Kettering, England. He obtained a law degree from Oxford University and practiced as a barrister for some years in Birmingham, England, before going overseas in 1976. He was Attorney General of Tuvalu during its independence, and then Attorney General of Montserrat. He spent 15 years as a legal officer in the Hong Kong Government both before and after the transition to Chinese sovereignty. He has since worked as a law drafting consultant for small jurisdictions in the Pacific, the Caribbean and the Atlantic. John learned the piano at an early age and taught himself to play the organ for Christian Science church services. He has been involved all his life in music-making as a choir member, accompanist and organist. He has also composed a series of vocal solos and a series of hymn tune interludes for use in church services. 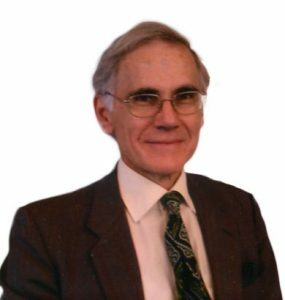 John is a committee member of the Northampton & District Organists’ Association and former member of the Northampton Composers’ Association in England. I'd like 15 each of "Two Poems by Mary Baker Eddy." These are WONDERFUL! Many thanks.